Well gang, my time with SpookyTime Jingles is winding down. This is my last month working with the great ladies at STJ. 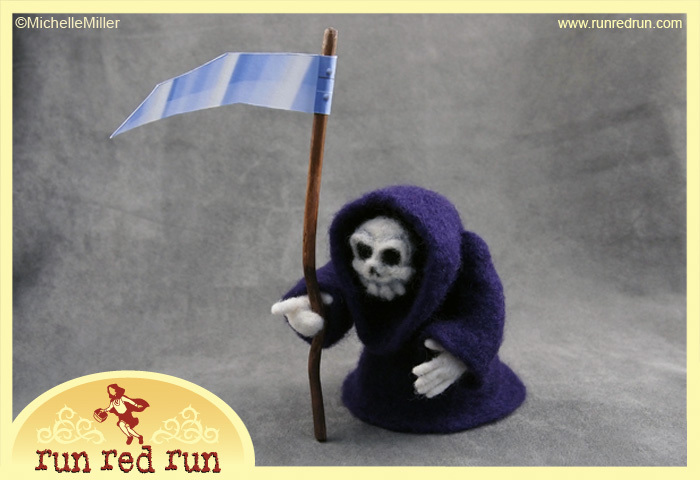 My latest project, the Grim Reaper, will be for sale at spookytimejingles.com until 2/12/12. Check it out. What does my leaving STJ mean? It just means that I’m busy at home and work. I’m still needle felting though. I have a project in the works right now. I won’t go into too much detail yet, but I will tell you that it’s the sort of creature you’d seeing running across the English moors in the full moon light. I’ll show you soon. I’m also focusing on commission work. So, if there’s something special you’d like for yourself or for a gift, get in touch with me and we’ll work out an arrangement! AAAAHHHHH! It’s here again! You know, that creepy time each month when STJ updates its product selections! AAAAAAHHHHH! I don’t know if I can stand the suspense of waiting until midnight Jan 13th to see all of the awesome new artwork up for sale. Well, in case you’re as impatient as I am, I’m giving you a little sneak peek at what I’m offering for sale this month. 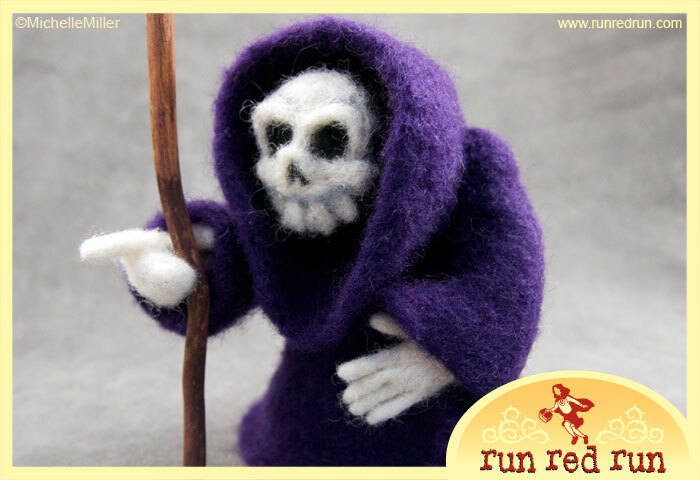 Say hello to my little Grim Reaper! 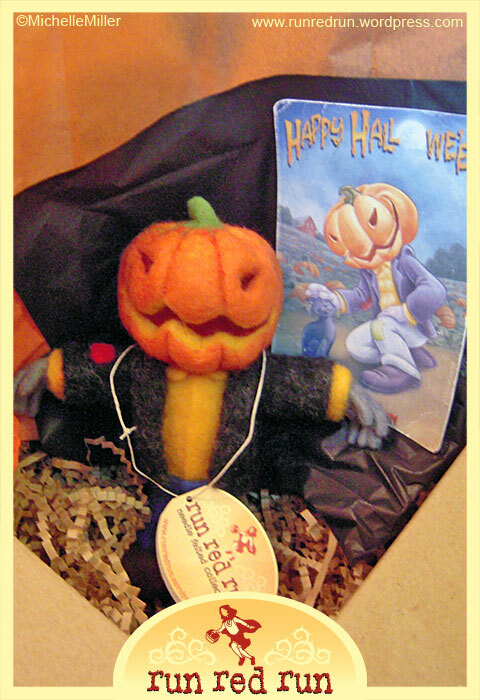 If you would like to purchase this guy, head over to SpookyTime Jingles to get all the info. Also, check out my gallery or Flickr page for more photos! The 13th of October marks another SpookyTime Jingles update. 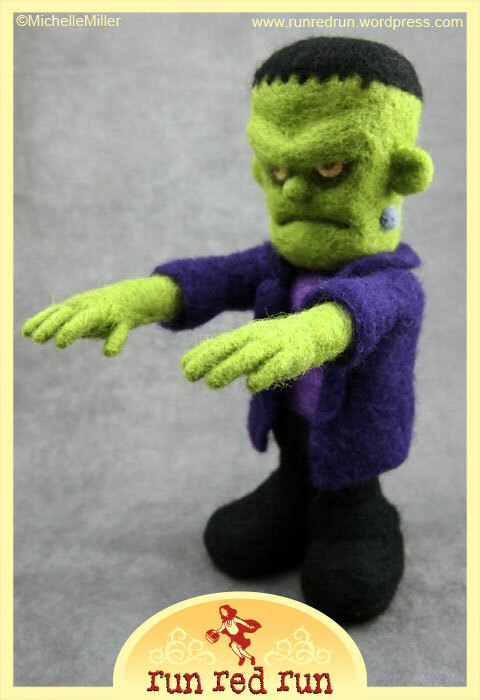 To celebrate Halloween, I have not one but two items for sale this month — Frankenstein’s Monster and a little vampire so cute he could charm the plasma right out of you. I designed The Monster with a wire armature in his shoulders to help keep his arms up in strangling position. 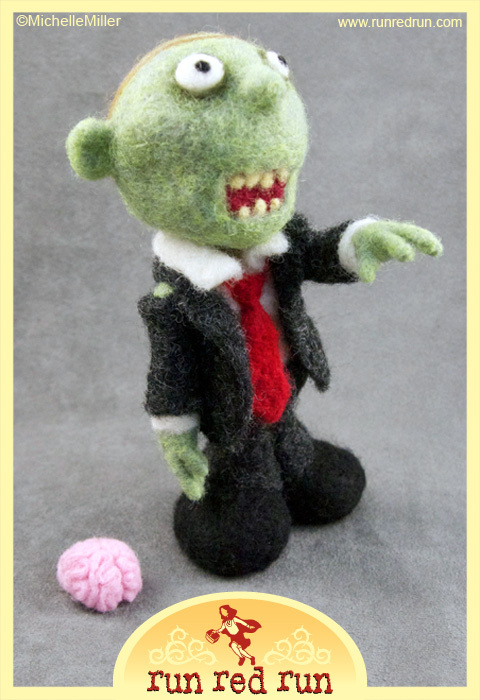 He’s sad because he just wants a friend…or a wife…or an undamaged brain. 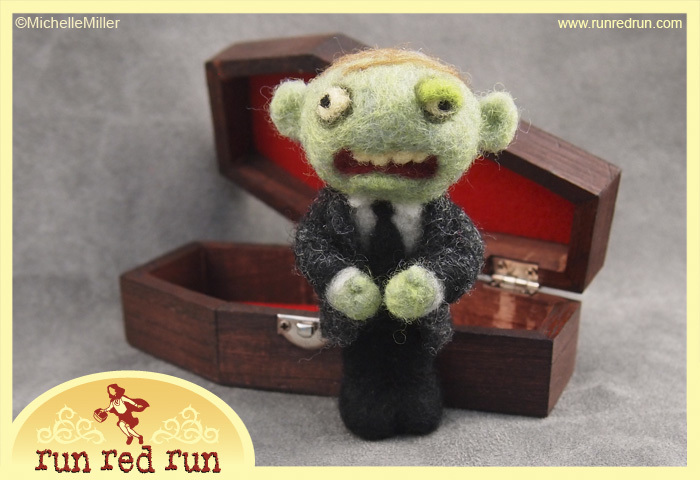 The little vampire has his own wooden coffin to snugly sleep in during the day. 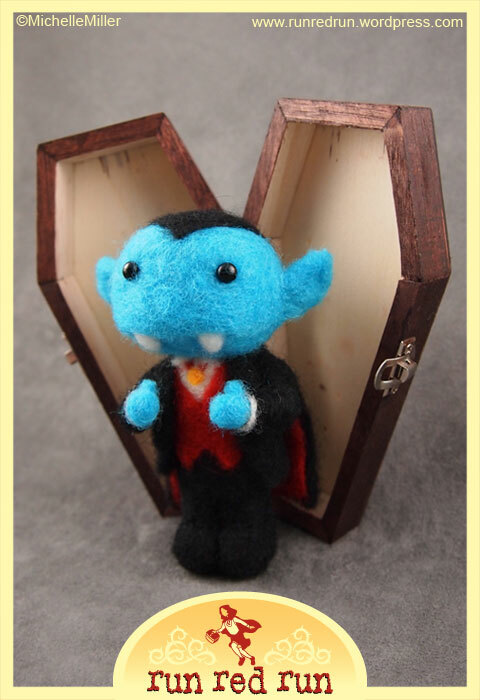 I rarely make anything this small, but my friend Vince spotted the coffin while shopping for art supplies and then designed a vampire to fit into it. Curse him and his constant flow of ideas. 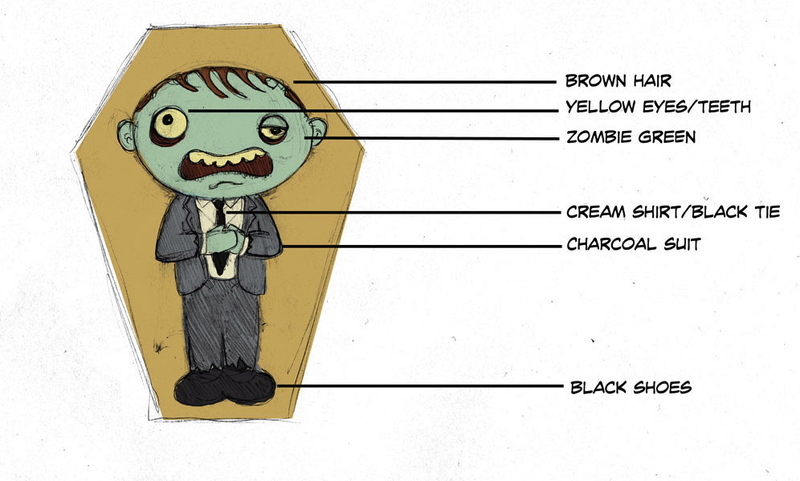 Check out his blog to see the design and all his other great illustrations. 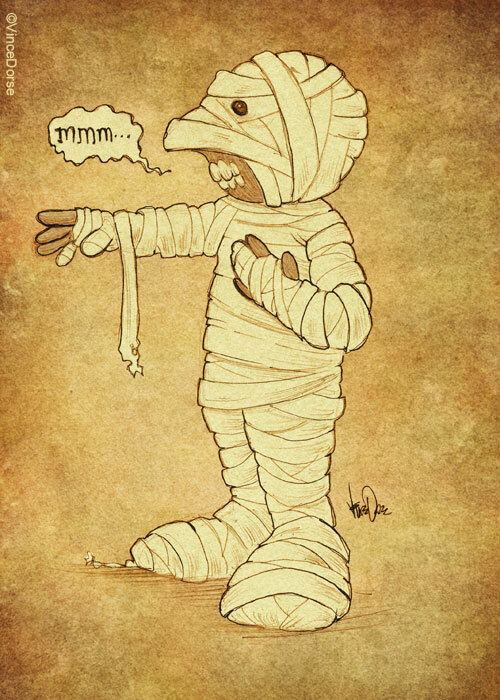 The Mummy is up for sale on the SpookyTime Jingles site starting at midnight on September 13! 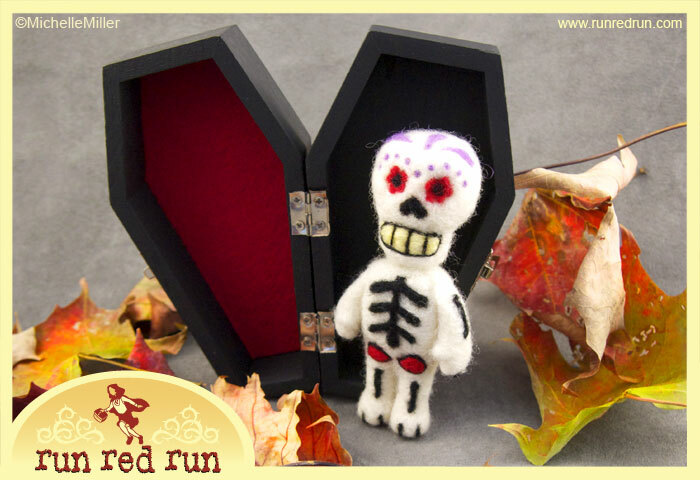 You can buy him by clicking here and getting all the details at the Run Red Run page. I saw a sneak peak of some of the other art and it all looks great, so be sure to take a look around. This time Vince Dorse did a quick design sketch for me to use as inspiration. He told me not to feel bound by the design, but to play around a little and experiment. As a result, a few things changed along the way and I’m pretty happy with the outcome. I also have a few more photos of The Mummy in my photo gallery for you to see. Let me know what you think! The Pumkinhead Scarecrow found a home! 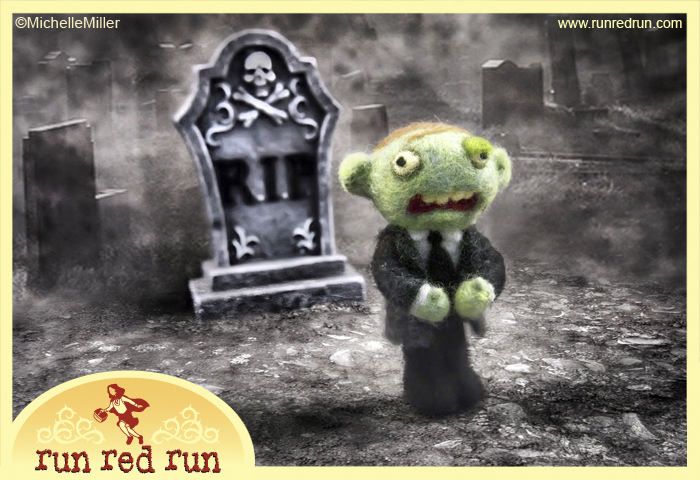 Thanks to SpookyTime Jingles for hosting the sale (as they do every month) and a big thank you goes out to the buyer. She’ll be receiving the scarecrow, of course, and a “vintage” Halloween thank you postcard designed by my friend Vince Dorse (that just happens to match the scarecrow…so it works out quite well).